17" Seat HeightSome assembly required. 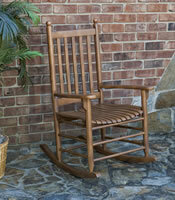 Come relax and enjoy life in our Deluxe Outer Banks Rocker. 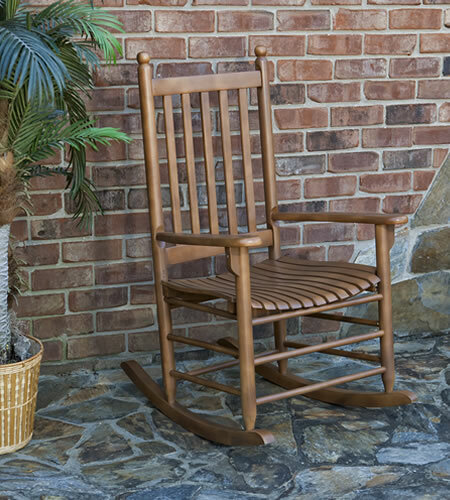 The classic and traditional look of this porch rocker is timeless. Designed for a covered porch or patio. With its contoured seat and extra long runners for a smooth and soothing rocking, you are sure to fall in love with it. Easy to clean durable finish with Polyurethane top coat for weather resistance. Rocker is offered in three color options Black, Teak & White.